This is another of my Oma inspired recipes. I’ve had to recreate it based on how I think she would have made her potato waffles. I think this comes pretty close, with a little bit of my style mixed in. 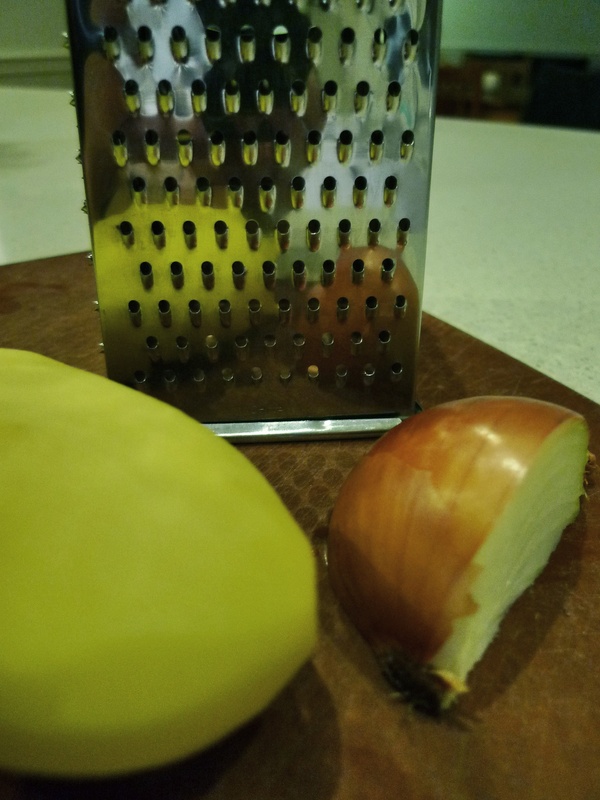 Grate the potato and onion on the finer side of the grater. Squeeze out the excess liquid from potato. Combine the grated potato, onion, egg yolk and milk in a bowl. Add salt and four and mix well. In a separate bowl, beat the whites to fluffy peaks. Fold the whites into the batter.